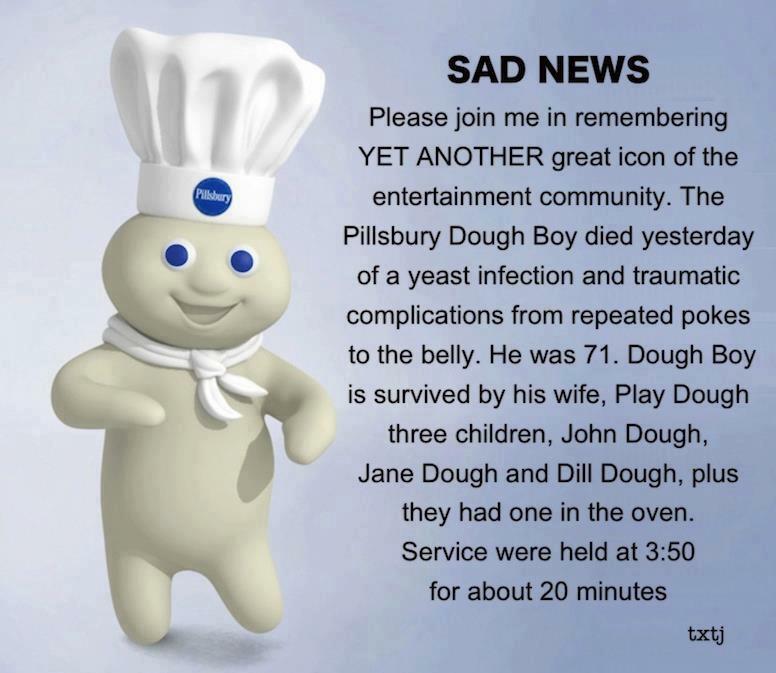 It’s Pillsbury season! I smell a million dollars! Wendy! It’s NOT TOO LATE! We missed the dinner category entries…but we can still jump on the dessert band wagon! Yes, yes, we will gain weight. And yeah, the kids will get tired of eating Crescent Rolls bent into weird shapes and slathered in Timtella (Trademark Pending) Sauce. But WE CAN’T QUIT NOW! We have too many years (not to mention the thousands we have spent) into this project. We just need to tweak a few ingredients…and the million dollar prize is ours! Unless the following is true…?